Like it or not, one day the oil will run out, the petrol pumps will run dry and we'll be left looking for a new way to keep the wheels turning. Thankfully, we're unlikely to be left stranded, as carmakers have been ploughing millions into the development of technologies that'll see us motoring well into the future. Generally, there are two schools of thought: battery electric vehicles and hydrogen fuel cells, with the former being the first to be widely offered, thanks to a well established global electricity infrastructure. However, battery electric cars don't free cars from their dependence on fossil fuels, but rather just move their consumption further up the energy supply chain. Fuel cell vehicles, however, run on hydrogen, the most abundant element on the planet – though development has been hamstrung largely by a lack of energy efficient way to extract and refine it, as well as there currently being a shortage of hydrogen filling stations. 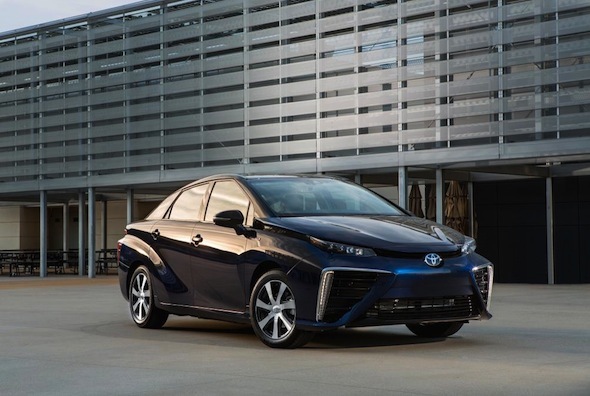 That hasn't stopped Toyota from sticking by the technology as its bet on the future of sustainable mobility, and has even gone as far as to call out the critics who called BS on hydrogen cars, by fuelling its new fuel cell model, the Mirai, with just that. Yes, the video below shows just how you can cleanly power a car using nothing but cow manure. It's a clever use of a waste product generated in massive quantities, and just one way of producing hydrogen in quantities large enough to keep the traffic flowing. Still think hydrogen cars are full of s**t? Check out the film below.